I have been watching a web cam trained on a Bald Eagle nest in New Jersey every day for almost two months. I let it run all day on my computer desktop at work; the infrequent bursts of activity catch my eye, but it is mostly patient waiting. The nest is in a tree on the old estate at Duke Farms in Hillsborough, New Jersey -- click here to read about the place. I found the nest cam through the Hancock Wildlife Association; they have a page of all kinds of wild bird nest web cams. 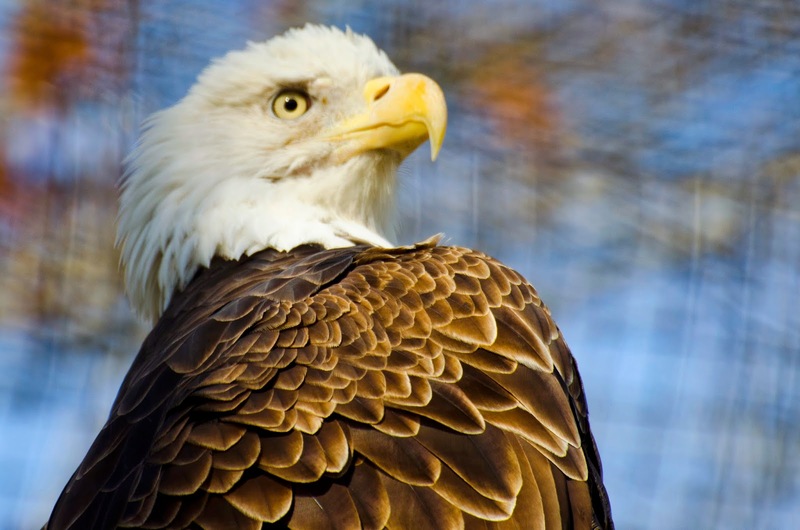 You can take your pick of eagles, osprey, owls, falcons, and more -- click here to check it out. I selected the closest eagle web cam to my home so I can visit later when the eagles are fledging and perhaps get a glimpse of them. Click on the Eagle Cam on the Duke Farms link (during daylight). On the bottom of the page you will find a stream of comments and questions from others watching live. I frequently find myself watching with elementary school classes who are learning about science and nature. We watched the eagle couple persevere as the nest was repeatedly covered with snow in February. They brought new branches to lay over the snow. They built a pile of grass in the center. Eventually the snow was gone, and we watched the female lay the first egg of the year on the cold afternoon of February 17th. It was followed by a second egg on February 20th and a third on the 23rd. Yesterday, March 29th, two of the eggs hatched. Here is a peek of them from a video that was posted to YouTube by a nest watcher -- click here to see the baby eagles.